2305001 HMW 1123 DEUTZ-FAHR HMW 1123 Combine Spare Parts Catalog. 2305002 HMW 1124 DEUTZ-FAHR HMW 1124 Combine Spare Parts Catalog. 2305003 M1102 DEUTZ-FAHR M1102 Combine Spare Parts Catalog. 2305004 M1202 DEUTZ-FAHR M1202 Combine Spare Parts Catalog. 2305005 M 1202 SUPER DEUTZ-FAHR M 1202 SUPER Combine Spare Parts Catalog. 2305006 M 2480 DEUTZ-FAHR M 2480 Combine Spare Parts Catalog. 2305007 M 2580 DEUTZ-FAHR M 2580 Combine Spare Parts Catalog. 2305008 M 2680 DEUTZ-FAHR M 2680 Combine Spare Parts Catalog. 2305009 M 2685 DEUTZ-FAHR M 2685 Combine Spare Parts Catalog. 2305010 M 2780 DEUTZ-FAHR M 2780 Combine Spare Parts Catalog. 2305011 M 2780 H DEUTZ-FAHR M 2780 H Combine Spare Parts Catalog. 2305012 M 35.80 BIS FG1 DEUTZ-FAHR M 35.80 Combine Spare Parts Catalog. 2305013 M 35.80 DEUTZ-FAHR M 35.80 Combine Spare Parts Catalog. 2305014 M 36.10 DEUTZ-FAHR M 36.10 Combine Spare Parts Catalog. 2305015 M 36.10 AB3349 DEUTZ-FAHR M 36.10 Combine Spare Parts Catalog. 2305016 M 36.30 DEUTZ-FAHR M 36.30 Combine Spare Parts Catalog. 2305017 M 36.30 AB 3349 DEUTZ-FAHR M 36.30 Combine Spare Parts Catalog. 2305018 M 36.40 DEUTZ-FAHR M 36.40 Combine Spare Parts Catalog. 2305019 M 36.40 AB 3349 DEUTZ-FAHR M 36.40 Combine Spare Parts Catalog. 2305020 M66 TS DEUTZ-FAHR M66 TS Combine Spare Parts Catalog. 2305022 5435H DEUTZ-FAHR 5435H Combine Spare Parts Catalog. 2305023 5435H COM3 DEUTZ-FAHR 5435H COM3 Combine Spare Parts Catalog. 2305024 5445H DEUTZ-FAHR 5445H Combine Spare Parts Catalog. 2305025 5445H COM3 DEUTZ-FAHR 5445H COM3 Combine Spare Parts Catalog. 2305026 5465H DEUTZ-FAHR 5465H Combine Spare Parts Catalog. 2305027 5465H COM3 DEUTZ-FAHR 5465H COM3 Combine Spare Parts Catalog. 2305028 5485HT DEUTZ-FAHR 5485HT Combine Spare Parts Catalog. 2305029 5485HT CLIMBER DEUTZ-FAHR 5485HT CLIMBER Combine Spare Parts Catalog. 2305030 5485HT COM3 DEUTZ-FAHR 5485HT COM3 Combine Spare Parts Catalog. 2305032 5545H DEUTZ-FAHR 5435H Combine Spare Parts Catalog. 2305034 5565H DEUTZ-FAHR 5445H Combine Spare Parts Catalog. 2305035 5585HT DEUTZ-FAHR 5445H COM3 Combine Spare Parts Catalog. 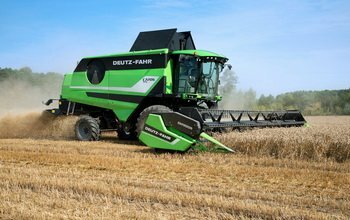 2305042 5650 H DEUTZ-FAHR 5650 H Combine Spare Parts Catalog. 2305043 5660 H COM 3 DEUTZ-FAHR 5660 H COM 3 Combine Spare Parts Catalog. 2305044 5660 HTS DEUTZ-FAHR 5660 HTS Combine Spare Parts Catalog. 2305045 5660 HTS COM 3 DEUTZ-FAHR 5660 HTS COM 3 Combine Spare Parts Catalog. 2305046 5665 HTS COM 3 DEUTZ-FAHR 5665 HTS COM 3 Combine Spare Parts Catalog. 2305047 5670 DEUTZ-FAHR 5670 Combine Spare Parts Catalog. 2305048 5680 DEUTZ-FAHR 5680 Combine Spare Parts Catalog. 2305049 5680 H DEUTZ-FAHR 5680 H Combine Spare Parts Catalog. 2305050 5690 DEUTZ-FAHR 5690 Combine Spare Parts Catalog. 2305051 5690 H COM 2 DEUTZ-FAHR 5690 H COM 2 Combine Spare Parts Catalog. 2305052 5690 H COM 3 DEUTZ-FAHR 5690 H COM 3 Combine Spare Parts Catalog. 2305053 5690 HTS COM 2 DEUTZ-FAHR 5690 HTS COM 2 Combine Spare Parts Catalog. 2305054 5690 HTS COM 3 DEUTZ-FAHR 5690 HTS COM 3 Combine Spare Parts Catalog. 2305055 5690 HTS DEUTZ-FAHR 5690 HTS Combine Spare Parts Catalog. 2305056 5695 HTS COM 3 DEUTZ-FAHR 5695 HTS COM 3 Combine Spare Parts Catalog. 2305058 ACTOR 5510 DEUTZ-FAHR ACTOR 5510 Combine Spare Parts Catalog. 2305059 ACTOR 5520 DEUTZ-FAHR ACTOR 5520 Combine Spare Parts Catalog. 2305060 ECTRON 5530 DEUTZ-FAHR ECTRON 5530 Combine Spare Parts Catalog. 2305062 3370 DEUTZ-FAHR 3370 Combine Spare Parts Catalog. 2305063 4030 DEUTZ-FAHR 4030 Combine Spare Parts Catalog. 2305064 4035 DEUTZ-FAHR 4035 Combine Spare Parts Catalog. 2305065 4040 DEUTZ-FAHR 4040 Combine Spare Parts Catalog. 2305066 4045 DEUTZ-FAHR 4045 Combine Spare Parts Catalog. 2305067 4060 DEUTZ-FAHR 4060 Combine Spare Parts Catalog. 2305068 4065 DEUTZ-FAHR 4065 Combine Spare Parts Catalog. 2305069 4068 DEUTZ-FAHR 4068 Combine Spare Parts Catalog. 2305070 4075 DEUTZ-FAHR 4075 Combine Spare Parts Catalog. 2305071 4080 DEUTZ-FAHR 4080 Combine Spare Parts Catalog. 2305072 4090 DEUTZ-FAHR 4090 Combine Spare Parts Catalog. 2305073 8XL DEUTZ-FAHR 8XL Combine Spare Parts Catalog. 2305075 26.6 DEUTZ-FAHR 26.6 Agro loader Spare Parts Catalog. 2305076 26.6 LP DEUTZ-FAHR 26.6 LP Agro loader Spare Parts Catalog. 2305077 30.7 DEUTZ-FAHR 30.7 Agro loader Spare Parts Catalog. 2305078 40.8 DEUTZ-FAHR 40.8 Agro loader Spare Parts Catalog. 2305079 40.9 DEUTZ-FAHR 40.9 Agro loader Spare Parts Catalog.